RedyRef in Partnership with INADEV Renovates the Interactive Kiosks at the World War II Memorial (WWII) on the National Mall in Washington D.C.
RedyRef, a turn-key self-service kiosk solution provider, announced that they were honored to provide turn-key kiosk hardware solutions to INADEV Corporation of McLean, Virginia for the renovation of the World War II Memorial for the American Battle Monuments Commission (ABMC) on the National Mall in Washington D.C. The World War II Memorial, located on the eastern end of the reflecting pool between the Lincoln Memorial and the Washington Monument, was dedicated May 29, 2004 by President George W. Bush. The Memorial established by ABMC honors the 16 Million who served in the armed forces of the United States, the 400,000 who died and all who supported the war effort from home  (1941-1945). The WWII Memorial is the only 20th Century event commemorated on the National Mall’s Central Axis . The American Battle Monuments Commission, established by the Congress in 1923, is an agency of the executive branch of the federal government and guardian of America’s overseas commemorative cemeteries and memorials. 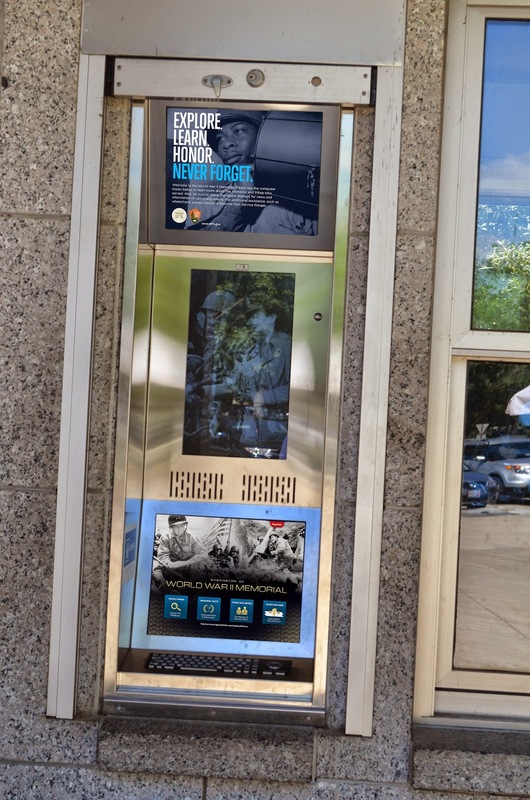 INADEV approached RedyRef in December of 2013 to renovate the original interactive kiosk portion of the memorial prior to Memorial Day 2014. The project included the complete update of the hardware including the replacement of the original non-outdoor displays and the addition of ELO Touch hi-bright outdoor topper displays for running additional commemorative video.